As the Mountsorrel and Rothley Community Heritage Centre rapidly approaches completion, the restored quarry line railway has won a prestigious national award from the Heritage Railway Association. At the Association’s Annual Awards Presentation held in Wolverhampton on the 6th February, the resurrected branch line was short listed, and then won outright, a “Special Award for a Meritorious Project”. The award was made in the name of the Great Central Railway for the outstanding and successful reinstatement of the line after seven years of volunteer effort. 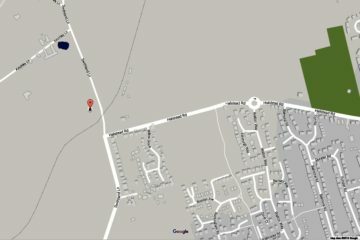 For the Mountsorrel Branch line project, which has involved a huge effort by the community to provide a branch line joining an established heritage railway with the potential to offer access to an exhibition building, railway museum and Community Heritage Centre. 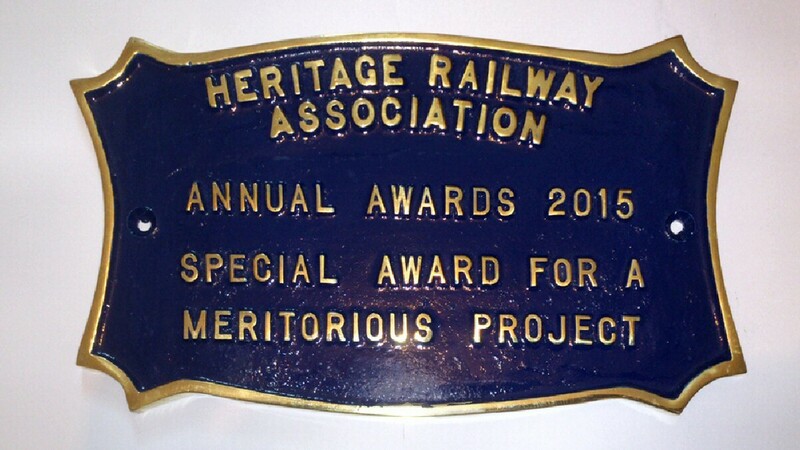 Commenting on this latest award, Project Leader Steve Cramp said, “The Heritage Railway Association awards are seen as the ‘Oscars’ of the Heritage world and our volunteers are thrilled that this gives us national recognition, even before the railway has fully opened! The only amendment we would want to make to the citation is that our Heritage Centre, Museum and Exhibition buildings are no longer potential attractions – they have been built and are now being finished ready for an opening in just a few months’ time”. The award was presented to Mountsorrel Railway Project volunteers Carole Armour and Malcolm Law by Mark Garnier MP, who has succeeded Nicky Morgan MP as chair of the All Party Heritage Railways Parliamentary Group.